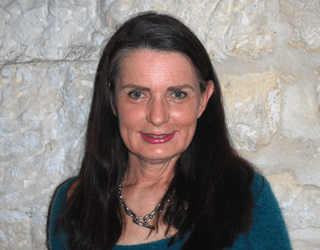 Diane Lockward is the author of three poetry books, most recently, Temptation by Water. Her previous books are What Feeds Us, which received the 2006 Quentin R. Howard Poetry Prize, and Eve’s Red Dress. Her poems have been included in such anthologies as Poetry Daily:360 Poems from the World’s Most Popular Poetry Website, Garrison Keillor’s, Good Poems for Hard Times, and The Poet’s Cookbook, edited by Grace Cavalieri. Her poems have also been published in such journals as Harvard Review, Spoon River Poetry Review, and Prairie Schooner as well as featured on Poetry Daily, Verse Daily, and The Writer’s Almanac. She lives in northern New Jersey and works as a poet-in-the-schools for both the New Jersey State Council on the Arts and the Geraldine R. Dodge Foundation. You can visit her online at Diane Lockward.